FAST Footwear is one of the top company for men and women shoes in Hong Kong over 30 years. 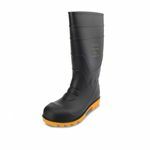 FAST Footwear now has the latest safety work boots with steel toe and steel midsole. 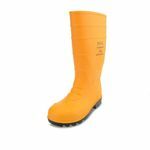 They are high quality for men and women who work in professional project, fishing, bad weather (Flood, rain, snow..etc) and this series safey work boots pass the test EN20345 S5 ISO20345-2004 & ISO20345-2011.